Claude Lelouch's highly acclaimed "Un Homme et une Femme" from 1966 tells the story of (watch this space) a man and a woman falling in love. A romantic film that would be the best movie on racing ever if it was an action flick. One great example and reference point of French new wave cinema is said film about a very articulate, respective fondness of two widows - a race car driver and a script writer. The very much profound - and thus beautiful - depiction of the two people picking up the broken threads of their lives again and tie it together is a classic in the genre. The background of the whole story could - however - be a separate action-racing movie in itself. 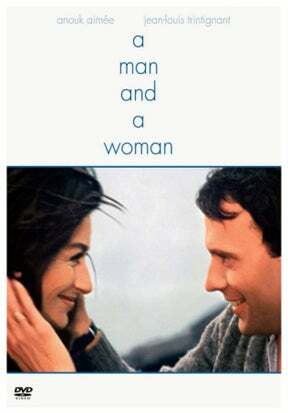 First of all, the movie was written and directed by Claude Lelouch, the mastermind behind the "C'était une Rendez-vous" short, which tells virtually the same story as "Un Homme et une femme", only much quicker and without words. The man's wife committed suicide, because she believed her husband suffered a fatal accident at the Le Mans 24 Hours. The woman's husband died while doing a stunt in a movie. The man calls the woman later while testing a Ford GT40 at the Monthléry circuit. Towards the end of the movie the woman sends a telegram congratulating the man for finishing the Monte Carlo Rally (in a Mustang). If you are a car guy (which you are) and if you have a girlfriend/wife and wonder what movie to pop in for Sunday night, this is the one.